Sonos is giving its speaker experience a boost with app improvements, deeper Spotify integration, and Alexa's assistance. Sonos speakers are already top of the line in their price class when it comes to sound, but the company has bigger ambitions—it wants to connect your entire home. 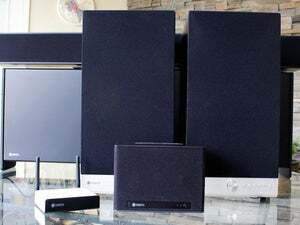 So its next big play isn’t a new speaker, it’s a fresh way to interact with the speakers you already own. The company is integrating Amazon’s Alexa digital voice assistant to give you new power over your tunes. Sonos says it’s is hyper-focused on making a killer software experience with help from its partners, pointing to the Apple Music integration that launched earlier this year as an example. That project benefited both Sonos and Apple as well as both companies’ users. At a New York city press event on Tuesday, Sonos announced a slate of improvements to the software experience that will make its speakers even easier to use. The first is voice control. Amazon opened up Alexa to third-party hardware manufacturers last summer, so their devices can gain voice control without the years of back-end development that would be required otherwise. Starting next year in a public beta, Sonos speaker owners who also have Amazon Alexa-enabled devices—the Echo, Tap, or Dot—will be able to control their speakers using the “Hey, Alexa” voice command. 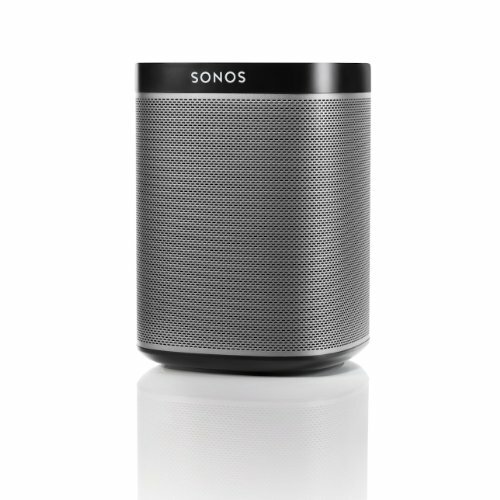 You’ll be able to play, pause, and skip songs, and also choose which Sonos speaker in your home to jam to. Sonos will start a private beta of that feature later this year. The second is a deeper partnership with Spotify that will enable subscribers to that service to control the music playing on their Sonos speakers directly from the Spotify app, as opposed to controlling Spotify from the Sonos app as must be done today. You’ll be able to easily transition from streaming tunes in your headphones to playing them out loud in your living room without having to switch apps and without even using Wi-Fi. Sonos’s vice president of software, Antoine Leblond, said that more than 50 percent of Sonos owners stream Spotify content, so expanding the six-year partnership between the streaming music service and the hardware company makes perfect sense. The new feature goes into beta this October. Sonos just celebrated its 14th birthday with 10 products in its line-up. 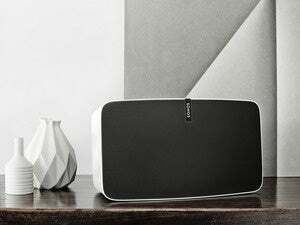 “That Sonos speaker you bought years ago continues to get better and better with software innovation,” Sonos’ chief commercial officer, Patrick Spence, said at Tuesday’s press event. Those major Sonos improvements are a little ways off, but on Sept. 7, Sonos says it will roll out an app update with a roster of smaller but still necessary tweaks, including easier song queuing. We’ve been using the beta version and can say it will be a major improvement to an already strong app.